“Flos Carmeli” or “Flower of Carmel”. This is an ancient Carmelite prayer, attributed to St. Simon Stock, the great 13th century Prior General of the Order to whom the scapular was entrusted by Our Lady. 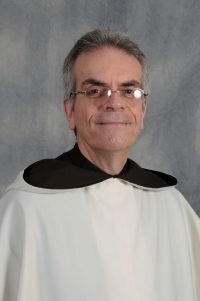 He was a man of deep faith and profound Marian devotion who left a lasting impression on the spirit and charism of the Carmelite Order. The first line of the Flos Carmeli is rendered in English, “O beautiful Flower of Carmel” that is, we address Mary as the Flower of Carmel, the crowning beauty of the Order, and describe her as beautiful, beautiful in every way, holy, and singular in the gifts she received from God and in the total giving of Herself to Him, body and soul. Carmelites never tire of venerating Mary with these words, and Mother Angeline Teresa herself loved this prayer, as she loved Our Lady of Mt. Carmel so profoundly. That which is of God is always filled with life. Everything that Jesus, the resurrection and the life, touches comes to life and fruition. In the garden of Carmel, Mary is the most beautiful flowering of grace, as the Scriptures and liturgy describe her, “She is the highest honor of our race.” She gave life to Jesus through her cooperation with the Holy Spirit and, in turn, and in the plan of her Son, she brings forth life in her many children – the brothers and sisters of Carmel, and all the children of the Church. Reflecting on Mary and her virtues, her love and her example, always leads us along the beautiful path to eternal life in Christ Her Son. But this beautiful One is never too far from us, too high for us to be close to. No, she is as near as the simplest prayer and movement of our hearts toward Her. 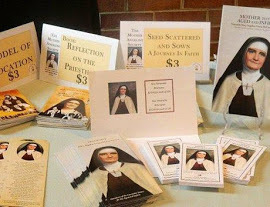 Venerable Mary Angeline Teresa, in her founding of the Carmelite Sisters for the Aged and Infirm, gave this beautiful Mother to her daughters in a special way and the Sisters bring all whom they serve under Mary’s protective care as well. Please continue to keep the Cause for the Beatification and Canonization of Mother Angeline in your prayers. Thank you for your financial support and all your cooperation. May Our Lady of Mount Carmel watch over and protect you always.